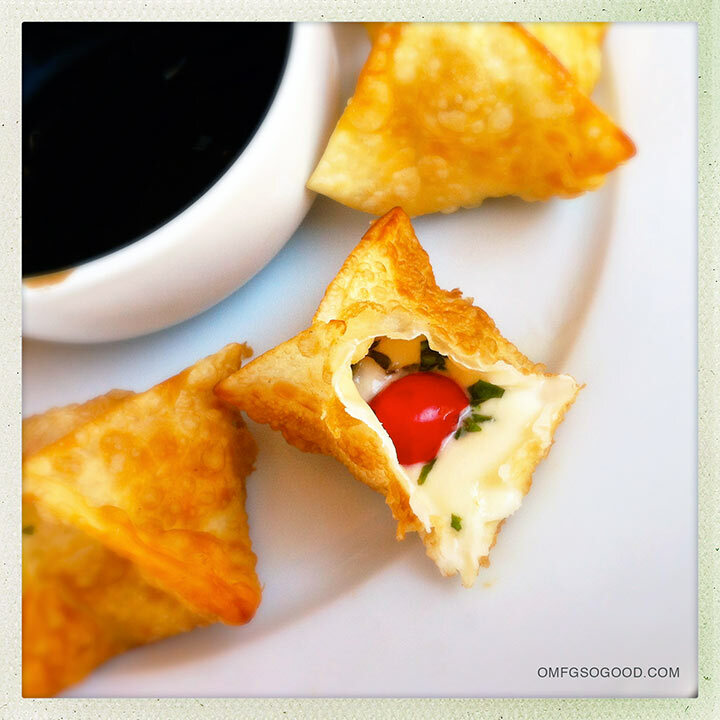 caprese wontons with balsamic reduction | omfg. so good. Fried. Cheese. That’s pretty much all I need to say about these. If you’re a fan of fresh mozzarella with tomatoes, which I’m sure you are unless you’re either A) Crazy or B) Lactose Intolerant, you’re going to love these. It’s like a naughty little formaggio fritto got down and dirty with the proper insalata caprese next door. Okay, that’s all I really need to say about these. To make the balsamic reduction, combine the balsamic vinegar and honey in a small saucepan over medium-high heat and bring to a boil. Reduce heat to low and simmer until the mixture has reduced to around 1 1/4 cups (around 10 minutes) Transfer to a glass or ceramic dish and add the two chopped basil leaves. Heat 2 – 3″ of vegetable oil in a heavy skillet over medium-high heat. Arrange a wire rack over paper towels or parchment paper and set aside. 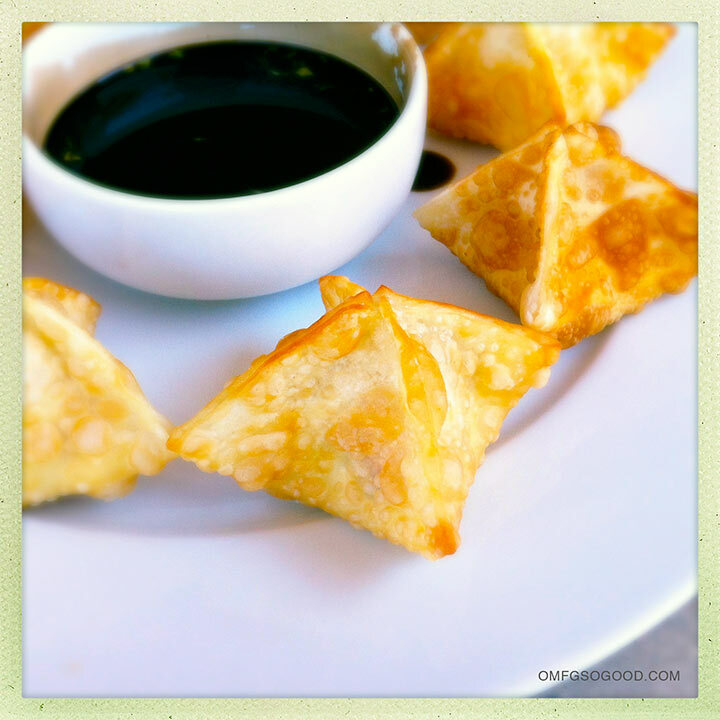 Once the oil has reached 350 degrees, drop 2 – 3 wontons at a time into the pan, and cook until they’re a nice light golden brown. Use a slotted spoon to transfer them to the wire rack, and sprinkle with a tiny bit of salt while they’re still hot. 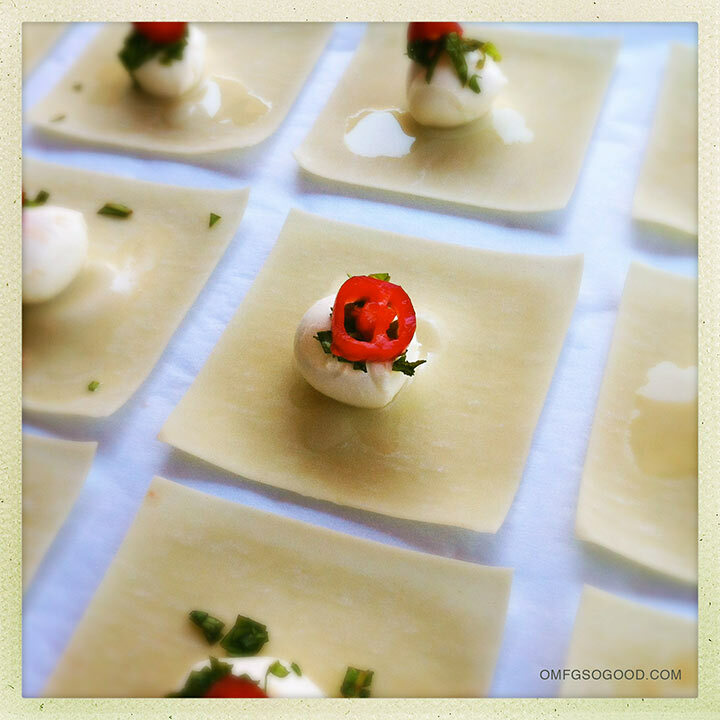 Serve with balsamic reduction for dipping. Naughty little formaggio. You, get in my belly. Oh my Lord, you are killing me with this recipe! seriously, you had me at fried cheese. 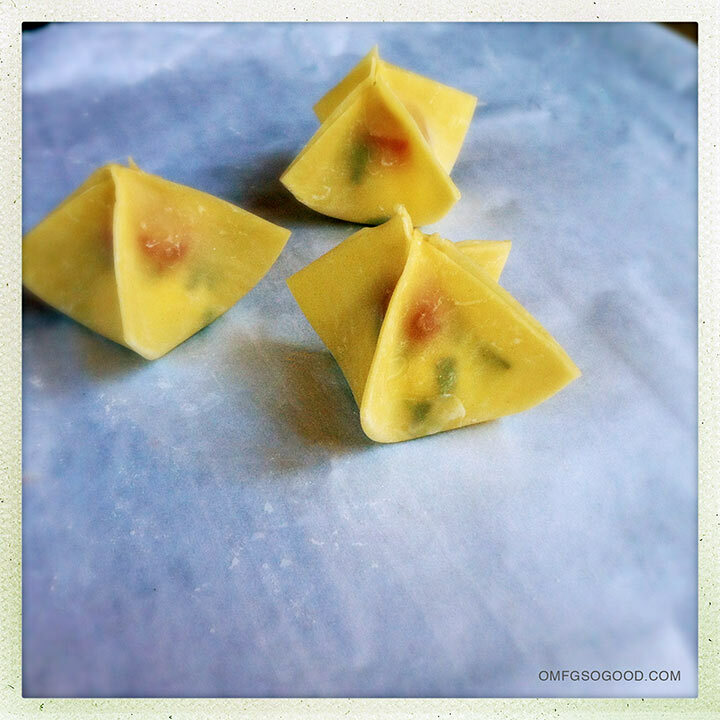 And wonton.